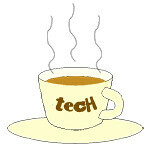 iPad « Tech bytes for tea? Parallels Access 2.5 now features Universal File Manager, Computer-to-Computer Remote Access and Samsung S Pen Integration on the Samsung Galaxy Note 4 and Galaxy Note Edge. Pricing below. Parallels advances the remote desktop experience beyond iPhone, iPad and Android to include computer-to-computer access. Parallels, a global provider of cross-platform solutions, today introduced Parallels Access 2.5, available immediately on Google Play and the App Store worldwide. “In our new era of even more devices, interfaces and form factors, it is extremely important for people to have a consistent application experience from any device, anywhere. Today’s workers need tools that connect the applications they depend on with devices and services from multiple platforms for a seamless user experience,” said Parallels president Jack Zubarev. New features of the app include a universal file manager, computer-to-computer remote access and Samsung S Pen integration to give customers a useful and productive remote access experience. Now all Samsung Galaxy Note 4 and Galaxy Note Edge customers get a free six month subscription to Parallels Access in their Galaxy Gifts. The new release also supports the recently released OS X Yosemite and Windows 10 Technical Preview. Parallels Access enables users to access their working computer anytime and anywhere, even with a mobile device or a borrowed computer. Opera claims that its Video Boost is a first for mobile web browsers, offering faster loading time and money savings from data reduction (compression). Available now FREE from Apple App Store. The new Opera Mini 9 for iOS comes with video boost feature that compresses video before delivering to your mobile phone, saving you from staring at the video-buffering wheel, as well as data savings. iPhone and iPad users will see less of the dreaded video-buffering wheel, using the new video boost feature in the Opera Mini 9 web browser. “This is the first time video optimization has been integrated into a web browser, so your browser can now take pride of place as your favorite video app. Video snags are a small problem, but an annoying one — a pothole on the internet highway. And Opera fixed it,” says Lars Boilesen, CEO of Opera Software. People love watching video on their mobiles and tablets. Unfortunately, this can eat up a data plan quickly, and stalled videos waste time and create frustration. Opera Mini boasts that it can address this problem with video boost. Video boost brings down buffering time for eager video viewers, by reducing the size of video data. Using the Rocket Optimizer engine from Opera’s Skyfire division, video boost can also save users on their data bills. Optimising videos is becoming increasingly important, as video viewing explodes on mobile phones. SingTel will offer the much-anticipated iPad Air 2 with Wi-Fi + Cellular and iPad mini 3 with Wi-Fi + Cellular from today, 24 October 2014. Click on the image to enlarge. For complete details on pricing and availability, please visit www.singtel.com/ipadupdates. The new iPads will be offered with a range of new 4G Mobile Broadband data plans that feature SingTel’s premium WiFi service. Following last month’s big launch of the iPhone 6, Tim Cook has just introduced the new iPad Air 2, iPad mini 3 ahead of the holiday shopping season. Apple also unveiled a new 27-inch iMac with Retina 5K display (from S$3,388), updated the Mac mini and made OS X Yosemite available today as a free upgrade. The new iPad Air 2 and iPad mini 3 are available in three metallic finishes: gold, silver and space grey. This is the second big launch for Apple close on the heels of the iPhone 6 launch last month. The iPad Air 2 is only 6.1mm thin and weighs less than 450g, featuring improved Retina display for enhanced contrast and richer, more vibrant colours, and better cameras for taking stunning photos and videos. The new iPad Air 2 and iPad mini 3 offer Touch ID so users can unlock their iPad with the touch of a finger. Local prices for the new iPads are as follows. Office 365 Personal – annual subscription S$89 – allows individuals to install Office on one PC or one Mac, as well as one tablet device to be connected to the service. Office 365 Home Premium – at S$138 per year – allows installation on up to five PC/Mac computers and five tablets (including iPad). Free limited edition Wireless Mobile Mouse 3500 with every purchase of Office 365 Personal. Save $20 when you purchase Office 365 Personal with a new PC, Windows 8 Tablet of Mac. Save $30 when you purchase Office 365 Home with a new PC, Windows 8 tablet, or Mac. Microsoft Office 365 Personal is now available from Singapore at an annual subscription of S$89 per year. Office 365 Personal is suitable for individuals or small households who share a single computer to use Office. Customers can buy Office 365 Personal and Office 365 Home at authorised retailers in Singapore (eg. Best Denki, Courts, Challenger, Harvey Norman, Newstead). You can also buy at the online Microsoft Store from today, although the price on the online store is listed as S$98 (with one month free Spotify subscription). For people or households who use Office on more than one device, it is more worthwhile to purchase Office 365 Home (previously called Office 365 Home Premium) instead. Office 365 Personal and Home includes the complete set of Office applications – Word, Excel, PowerPoint, OneNote, Outlook, Publisher, and Access. Apple announced the new 9.7-inch iPad Air, iPad mini with Retina display, new Mac Pro and MacBook Pro, free OS X Mavericks, as well as free iWork & iLife apps for OS X & iOS devices. All prices below include GST. Apple has just announced that the iPad mini with Retina display will be available from tomorrow. The iPad Air has debuted in Singapore, as well as the US, Australia, Austria, Belgium, Bulgaria, Canada, China (Wi-Fi models only), Croatia, Cyprus, Czech Republic, Denmark, Estonia, Finland, France, Germany, Greece, Hong Kong, Hungary, Iceland, Ireland, Italy, Japan, Latvia, Liechtenstein, Lithuania, Luxembourg, Macao (Wi-Fi models only), Macedonia, Montenegro, Netherlands, Norway, Poland, Portugal, Puerto Rico, Romania, Slovakia, Slovenia, Spain, Sweden, Switzerland and the UK. The Apple 9.7-inch iPad Air (shown here) and and the 7.9-inch iPad mini has the same thickness and number of pixels in their retina displays. Here’s a quick summary of the slew of announcements by Apple today. iPad Air with 9.7” Retina display. 20% thinner and 28% lighter compared to the current 4th Generation iPad. iPad mini with Retina display with a more powerful 64-bit Apple-designed A7 chip.Basically the 9.7-inch display of its bigger sibling is “squeezed” into 7.9 inches, with the same number of pixels but higher pixel density. It now packs 3.1 million pixels (2048 x 1536) @ 326 ppi. Prices for the various configurations are tabulated below.